The Department of Building & Development is comprised of several divisions that include Minor Planning, Zoning Administration, Building Permitting & Inspections. All requests for plats, rezoning, conditional use permits, variances, building permits, certificate of occupancy, and other related function are handled through this department, with related fees being collected by the Inspection’s Department. The Building Department reviews and approves all building plans in accordance with building codes and the subdivision and zoning ordinances, and inspects residential, commercial and industrial building activity. To enhance the environment and economic development of the City of Robstown through an orderly program that seeks to educate the public on the purpose and goals of the Code Enforcement Inspection Program. Through this education, we hope to gain willing compliance and to encourage citizen participation and cooperation. A “Team” effort to eliminate nuisances by encouraging responsible property maintenance will assist in providing a safe, clean and disease-free environment for the citizens of Robstown. You may contact our office at (361) 387-4589 Press 3 for Quality Control. IMPORTANT NOTE: If fees are outstanding, they must be paid before any inspections will be scheduled. This includes any tap fees or administrative penalties assessed for work without a permit. Any inspection requested before 7:00 a.m. will be scheduled for that day. Inspections requested after 7:00 a.m. will be made the following business day. Office hours are Monday through Friday from 8:00 a.m. to 5 p.m. An inspection may be delayed if any needed information is not given. Screens for windows and doors. Fences less than 7 ft. height measured from the lowest ad grade level. Repair and/or replacement of exterior siding, brick veneers, masonry, trims or other exterior wall covering not exceeding 25 percent of the wall being repaired and/or replaced. Cabinets without furr down spaces (surface mounted). Batting cages of chain link. Repair of leaks which do not alter the plumbing system. Replacement of shower heads, including spray massage. Repair of sections of water, sewer, vents, gas and drainage lines which do not exceed five (5) feet in length. Replacement of appliances such as garbage disposals, trash compactors, and dishwashers without altering the plumbing system; excluding boilers. Repair of any electrical portable heating device. Repair of any portable ventilation equipment. Repair of any portable cooling unit. Repair of any steam, hot or chilled water piping within any heating or cooling equipment regulated by this Code. Replacement of any individual component part or composite component part within an approved assembly unit, in which its replacement and replacement part does not alter its original approval or make it unsafe and complies with this code. This exception shall not be construed to include replacement of a complete assembly unit such as a condensing unit, furnace, or other such assembly units as assembled by the original equipment manufacturer. Repair of any portable evaporative cooler. Repair of any self-contained refrigeration system containing 10 lb (4.54 kg) or less of refrigerant and actuated by motors of 1 horsepower (7.46 W) or less. Replacing or repairing of existing vent pipes with proper clearance and roof flashing. Replacement or extension of ducts within the space of existing ducts. All general sales, open or advertised to the public, conducted from or on residential premises (single-family, duplexes or apartments), in any residential zone for the purpose of disposing of tangible personal property. Said sale includes situations in which more than five (5) specific items of tangible personal property are to be sold. Each garage sale shall not exceed three (3) consecutive days. For the purposes of this division, an itinerant merchant or an itinerant vendor shall be held to be any person who goes from house to house or from place to place in the city soliciting, selling or taking orders for or offering to sell or take orders for any goods, wares, merchandise, services, photographs, newspapers, magazines or subscriptions to newspapers or magazines. Any person desiring to engage in any activity mentioned in section 4.05.031 shall make written application to the city secretary for a license so to do, which application shall show the name and address of the person the applicant represents, the kind of goods offered for sale, and whether the applicant, upon any sale or order, shall demand or accept a payment or deposit of money in advance of final delivery, and the period of time the applicant wishes to sell or solicit in the city. Zoning is an instrument granted by the State of Texas which allows cities to develop in a comprehensive and coordinated manner. Zoning aids rational land utilization and economic provision of public facilities and services. In Robstown, zoning ensures proper land use relationships; provides sufficient land area for each development type; and allows a change to heavier uses only in areas with adequate facilities and services, such as streets, schools, recreation areas, and utility systems. Zoning also directs new growth to appropriate areas and protects existing property and uses from incompatible adjacent development. 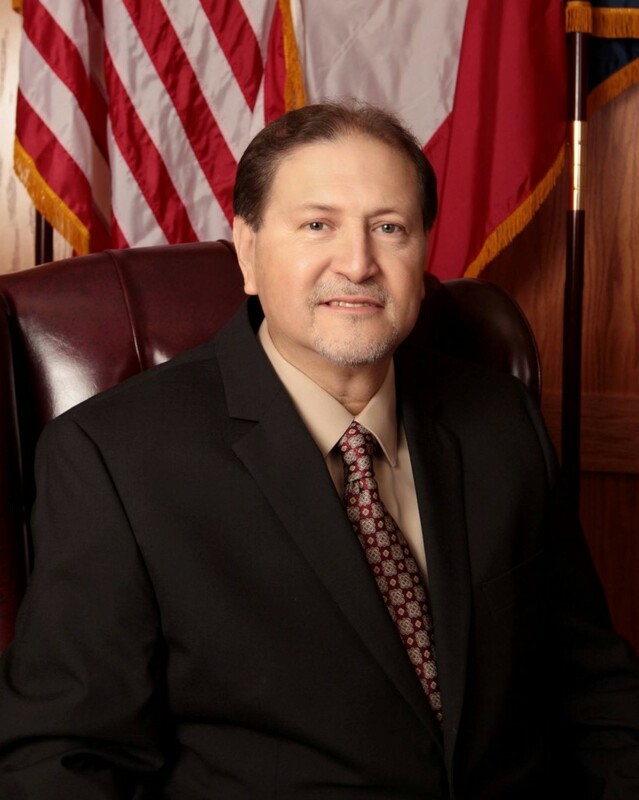 The Robstown Zoning Ordinance establishes the Zoning Regulations and Districts that have been made in accordance with a Comprehensive Plan for the city for the purpose of promoting Health, Safety, Morals or the General Welfare. An application for a change of zoning requires two public hearings, one before the Planning & Zoning Commission and one before the City Council. Please note that the Planning & Zoning Commission and City Council may conduct their public hearings over one or more meetings. The applicant or representative should be present at the hearings. All surrounding property owners within 200 feet of the area under consideration will be notified 10 days before the Planning Commission public hearing. The notice advises property owners of their right to appear and express their opinion at the hearing, or submit written comments on the requested change. A notice will also be placed in the Record Star newspaper 15 days before the Planning & Zoning hearing. After considering all the facts presented at the public hearing, the Planning & Zoning Commission will take an action that is a recommendation to the City Council. The zoning request will then be forwarded to the City Secretary’s Office to be scheduled for a City Council public hearing. A 75% vote majority of the City Council (4 of the 9 Council members) is required to approve the request. NOTE: It is important to understand that approval of a change in zoning cannot be construed as amending the Building Code, Fire Code, or any other applicable ordinances. The fee for rezoning less than ten (10) acres shall be two hundred dollars ($200.00). The fee for rezoning ten (10) acres or more but less than twenty (20) acres shall be three hundred dollars ($300.00). The fee for rezoning twenty (20) acres or more shall be five hundred fifty dollars ($550.00). Except, that if an application for rezoning is denied by the planning and zoning commission and no appeal is prosecuted to the city council, a refund of fifty (50) percent of the filing fee shall be made to the applicant. If an application is prosecuted to the city council and is not finally approved, then a refund of thirty-five (35) percent of the filing fee shall be made to the applicant.